win wonderful gifts? Then, cross your finger and good luck! If you enter with an email address that's not registered on Mart of China website, your entry doesn't count. 4. If you don't like the dress, you can also link your favorite item on this blog. We can also send it to you for free. 5. To make sure that everyone is of fair opportunity to get the gift card, please comment once only. 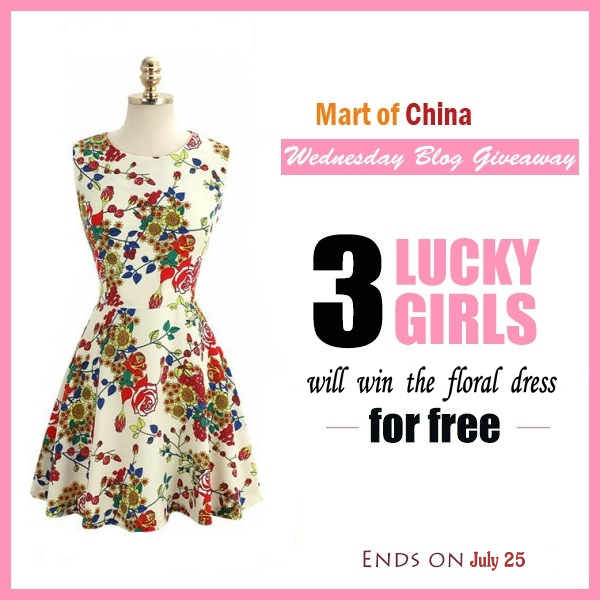 For more Giveaway activities, please pay attention to our blog. Copyright © 2014 Martofchina. All Rights Reserved.. Watermark theme. Powered by Blogger.